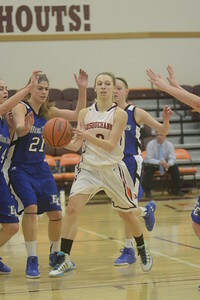 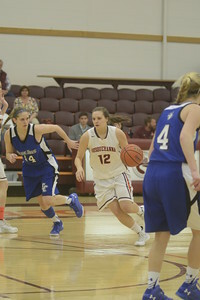 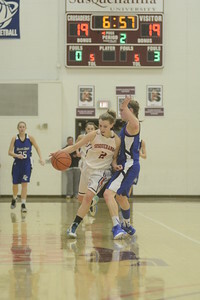 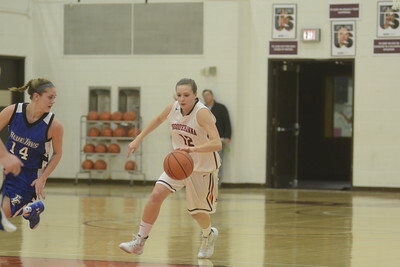 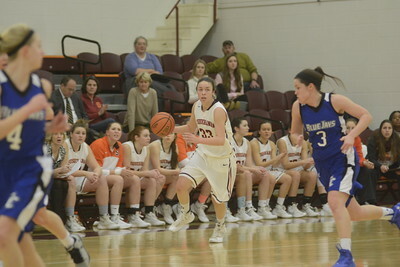 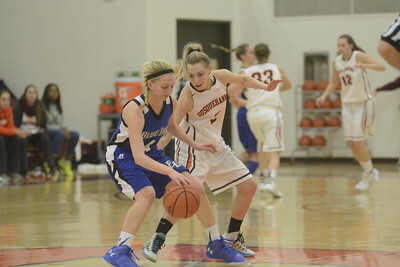 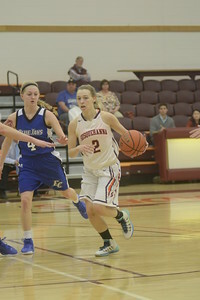 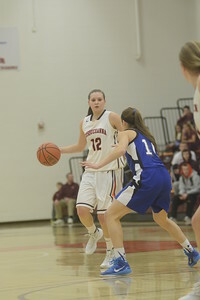 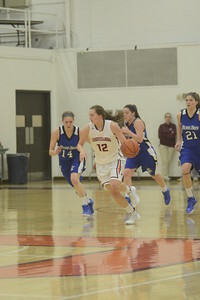 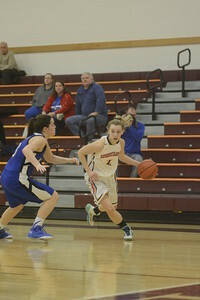 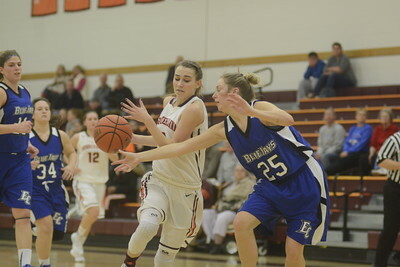 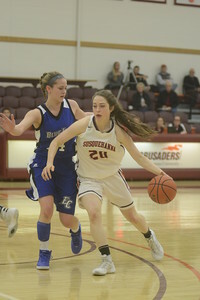 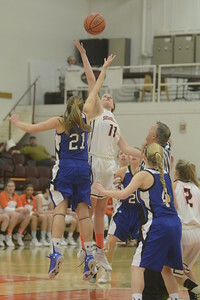 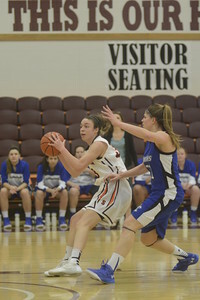 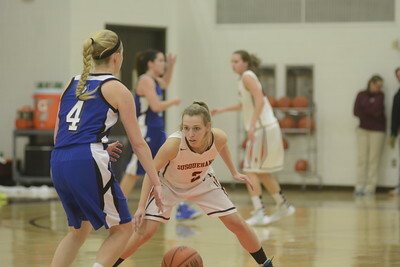 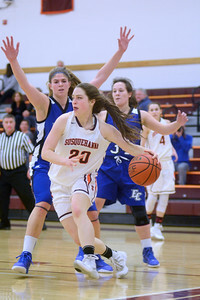 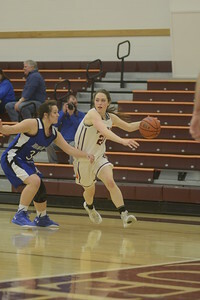 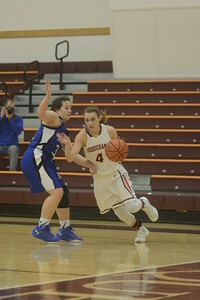 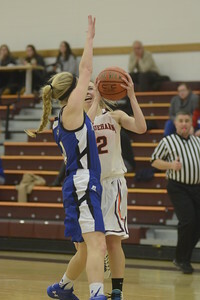 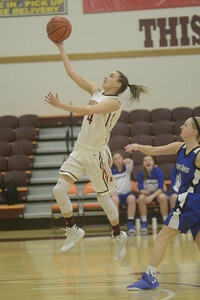 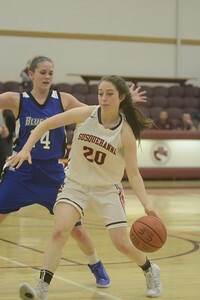 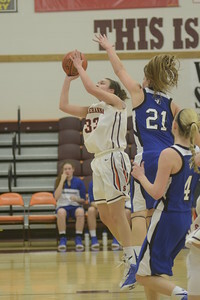 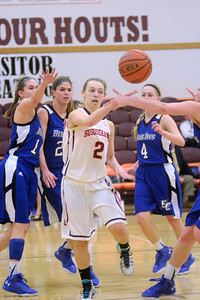 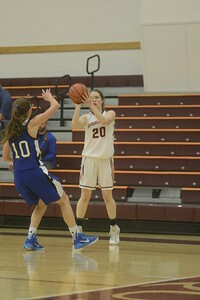 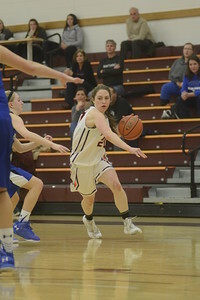 Susquehanna's Tess Nichols drives to the basket during Tuesday's game against Elizabethtown. 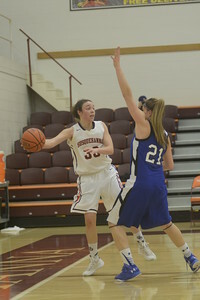 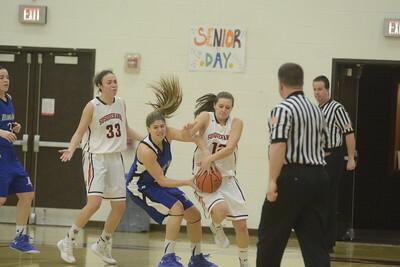 Susquehanna's Angie Schedler tries to drive past Elizabethtown's Emily Martin during Tuesday's game. 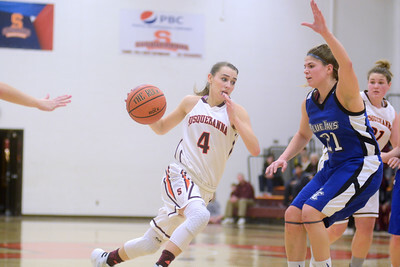 Susquehanna's Sofia Schedler makes a pass in traffic during Tuesday's game against Elizabethtown.